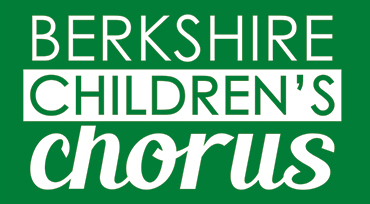 The Berkshire Children’s Chorus is a not-for-profit community chorus comprised of children in grades 1-12 from western Massachusetts and northwestern Connecticut. Founded in 1990 by Nancy Loder, the chorus provides excellent choral music training to dedicated and passionate young singers under the direction of Julie Bickford, Artistic Director. The repertoire of the chorus is not replicated in schools, making it possible to expand the children’s horizons to more classical and challenging musical experiences. In addition to exceptional choral music training, the BCC provides opportunities for children to form mentoring relationships and life-long friendships. Students must audition and are selected regardless of their ability to pay tuition. Learn more about our three choruses. • In 2015, the Berkshire Children’s Chorus participated in the Berkshire Choral Festival’s performance of Benjamin Britten’s War Requiem, held at the Berkshire School in Sheffield. • In our 2016/17 season we collaborated with the Connecticut-based children’s chorus, Chorus Angelicus, and with the choir Crescendo. With Crescendo we premieres a newly commissioned piece called Paintings in Song: Visions of Norman Rockwell. • In July 2017 our chorus traveled to Canterbury, England to participate in an international children’s chorus festival under the direction of Henry Leck.